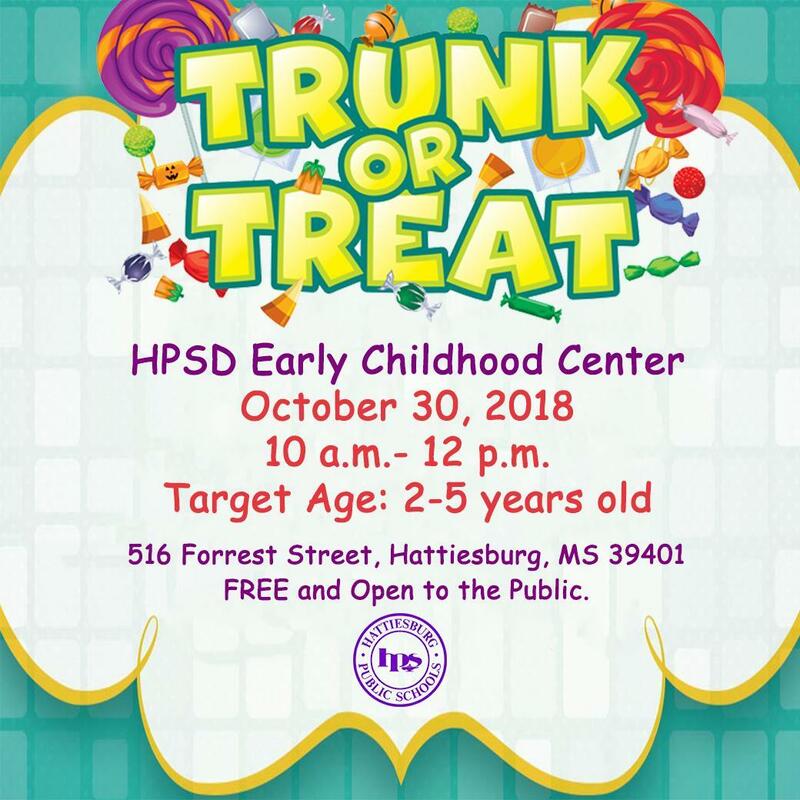 The HPSD Early Childhood Center will host its 2nd Annual Trunk or Treat on Tuesday, October 30 from 10 a.m.- 12 p.m. Parents of children between the ages of 2-5 are invited to attend. Child care groups are also welcome to attend. 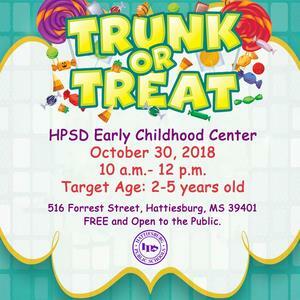 Please call ahead if you plan to bring a group (601-582-6672).